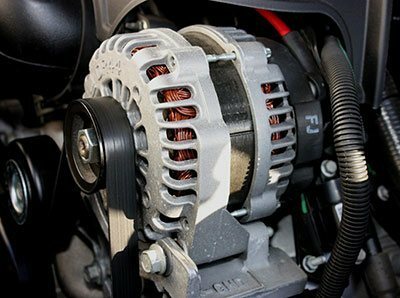 At Jack’s Auto Service, our ASE certified technicians will make sure your alternator and starters are functioning properly. We have been servicing automotive electrical systems since 1987. Our car repair facility is located in Grand Rapids, and we have developed a reputation as being one of the area’s leading auto service providers. If you are experiencing difficulties when starting your engine, it does not necessarily mean your car’s battery is dying. There could be an underlying problem in your vehicle’s electrical system. Your car’s alternators and starters replenish the car battery so that it can start. When the alternator breaks down, your engine is not able to set in motion, and the ignition will not switch on. Our team uses the latest tools and equipment to service the alternators and starters on your vehicles. On average, our technicians have worked for Jack’s Auto Service for over ten years. If your electrical system is in need of repair, you can trust our team to have the experience required to solve the problem. If your personal automobile or fleet is in need of alternators, starters, general maintenance or repair, we invite you to Jack’s Auto Service. Located in Grand Rapids, you can trust our friendly and experienced staff to get your car, truck, minivan or SUV driving its best!